391 to 291. No bingos. Lots of cool words, though. Kana. Azon. Leonine. Dixit. Blogging: Got my first advertiser for Purple Pawn: Invisible City Productions. Hope it achieves something good for them; PP is doing decent commissions on Amazon, but it's nice to get real advertisers to deal with. If you want to advertise on PP, we have a special: first month only $15. Regular price is $2/day. Of course, you're also welcome to advertise on this blog (same deal). Gaming: Borrowed Age of Steam from one of the group members, and desperately hope to play it again soon. It's one of my top ten games and I've only played it around three times. I'm keen to try Brass, but I'm still not willing to pay $60 for a game. I also finally read all the rules to, and therefore am ready to play, Merchants of Amsterdam, which I picked up a few weeks ago (you can get it for $15 at Amazon, so I guess I overpaid). Also on Amazon: Cleopatra and the Society of Architects ($20), Bootleggers ($12), Igloo Pop ($10), The Bridges of Shangri-La ($10), Goldbrau ($12), Igels Card Game ($4.50), Indus ($20), Carcassonne: The Discovery ($14), Carcassonne: King and Scout ($0.50). If you live in Canada, I asked Tao of Starlit Citadel for a copy of Dominion, but he was out. I ordered it instead from German Games, and they were super-nice and quick. I just heard from SC that they got a returned order which included a copy of Dominion; so while they're waiting to restock Dominion, you can grab the one copy they have in stock. My step-daughter came in after shabbat and told me that she played Jungle Speed at friends. 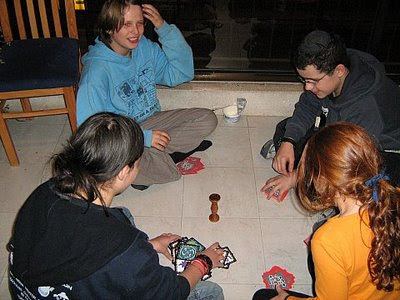 Second mention of Jungle Speed in the last few weeks; must be taking off in Israel. Also, BGG will be down for a day, mid-Sunday to mid-Monday. I need to add more structure to my life. Random parenting fact: For me, the one phrase that I repeated most throughout my parenting was "Don't lock anyone into or out of anything." Odd, because I don't recall ever hearing that when I was a child. If you have two decks of cards with different backs, you can create triangular, square, or hexagonal game boards of two colors. A Chess board should be obvious. 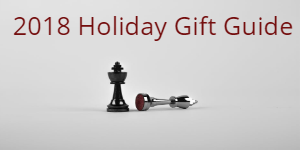 Pick a king, queen, bishop, etc from each of the decks in two different colors; you'll have to use two different numbers for the pawns. Use the remaining cards to form the board. Lay the board cards horizontally with space between the cards and place the "pieces" vertically onto them. If both the cards and pieces are oriented vertically, you will have a harder time picking the pieces up without also picking up the game board squares. If your two decks do not have different backs, just leave out the white squares. After laying the hexes, you can play games such as Yinsh or Hex. For Yinsh, for example, each player picks five rings of one color and a pile of stones of a second color (four colors altogether). The Sam Orbaum National Scrabble tournament will be at the Dead Sea on March 4 to 6. You get all the amenities of the Dead Sea hotel, as well as Scrabble playing at all levels of play. Twelve scheduled games over three days, in three divisions. My daughter tries to lift heavy rocks by pushing them sideways. It doesn't work. I tell her to lift up instead of push sideways, which makes her temperamental. She hears me telling her that she's not working hard enough. "I'm pushing as hard as I can!" she cries at me. Then she feels bad about herself, she thinks she's incapable of lifting rocks, she thinks I don't understand her, she gives up, etc.. I don't want her to work harder at pushing sideways; I want her to work hard at lifting. She can lift rocks, but she has to bend down and lift upwards. I know it's easier to push sideways; I understand why she does that, even though it never works. One day I hope I find the right words and she finds it in herself to try something different, and not only hear me telling her to work harder. She'll see that she's capable of lifting. Then we can find a world full of things to lift. The latest Jerusalem Strategy Gaming Club session report is up. Games played: Carpe Astra, Agricola, Medici. I review Carpe Astra and Medici. We have a good game of Agricola. Thanks to Patrick Korner, copies of Moot and Pit should be on their way to my wife's father's house in Toronto. And thanks to Mischa, copies of Dominion and Taluva should be on their way from Le Valet*. I would have ordered them from Star Citadel, but Dominion wasn't in stock :-( . * Le Valet called to say that they didn't have Dominion in stock, so I canceled the order from them. I ordered Dominion, Taluva, and Fairy Tale from German Boardgames instead. Prices weren't quite as good, but still a bit cheaper than ordering from the States. I played Fairy Tale at one of the BGG cons and kind of liked it, but I only played it two player and without the special cards. I think it deserves a chance multi player. The problem is the blind card play. It would be great to find a way around that, as it's not my favorite mechanic. I just signed up for Twitterfeed, since I can't think of any other use for Twitter (even though I've got 59 people following me on the damn site). Hopefully new blog posts will show up there. This is a test. P.S. Check out PurplePawn if you don't already. That's my other site. A very rare shabbat, we had all the kids with us. Nice. Rachel is going to Canada again for one week in February, and I'm trying to figure out how to get a few key game to Toronto at reasonable prices for her to bring back: Dominion, for one. I'd love Steam, but it won't be out until April, I fear; and there are no reasonably-priced copies of Age of Steam available. Taluva also looks nice, but shipping is more than the price of the game, so I'm just going to have to wait to get it shipped within a larger purchase. No gaming this shabbat. Tonight is Rachel's 45th birthday party. I missed last week, so here are a few extra. It's not that hard a stretch to take standard decks of playing cards to simulate specialized decks that are based on the same number/suit principles. What we don't want to do is a) write on every single card, or b) consult a sheet that maps every single card to some flavor text. So we will restrict ourselves to games that require a minimum of markup. For instance, Tichu uses a 56 card deck: 53 of the usual 13 cards in 4 suits, and 4 special cards. We can use the jokers for the four special cards, but, if your two decks have different colored backs (e.g. red and blue), we don't want the two jokers from the "other" deck to stick out. Solution: Set aside the jokers. Mix the two decks together thoroughly, and then turn face up. Now separate into two decks of cards. Each of the two decks should be randomly constructed from the two different colored card backs. Mark (in pencil) the special cards on the four jokers and mix them into one of the decks and play. You can use occasionally take the four aces out of the deck you are using and put them into the other deck, if you want. Another candidate is Rook. Use the four jokers as the 14's of each suit, and then take one additional card from the other deck (say, the ace of spade with a markup) to be the rook. For five suited games, such as Lost Cities or David & Goliath (up to 4 players or so), you can mark up one additional full suit from the second deck. The latest Jerusalem Strategy Gaming Club session report is up. Games played: Pillars of the Earth, Rook. While playing the game, we noticed that Gili had the book Pillars of the Earth on her shelf. None of us have read it, yet. Rachel won. She had a first round (second player) bingo with MOONIES. I had a late game bingo with POUNdING off a free G. Could have made POUNcING, too, but I was hoping to utilize the d.
I also dumped a Z at 1,2, i.e. right in front of the top-left Triple word score, thinking that there were not too many words with Z as the second letter. I knew about AZO and AZURE, and I left myself with URE in my hand, so I only needed to pick an A. I figured it would be harder for Rachel to get it. She didn't wait however, and simply played off the Z without getting the triple word score. Secure Immunity describes his love for Cosmic Encounter and Talisman in the context of Ameritrash and Eurogaming. Chris Farrell on how to write better rule books for games. Too much food, many nice guests. No games. My visitors ooh'd over the stack of the copies of It's Alive on my shelf. I note that I didn't post a "Wielding the Decks" post on Friday. I'll try tomorrow. You should send suggestions about which games you want me to cover. I went to two parties this evening, and didn't socialize much at either one. The first was a housewarming for a friend whose occasionally come to the game group, as have his kids. I've described them before; they play an assortment of old-world games as well as a few modern ones. This evening while the party was going on, the kids were on the porch playing Jungle Speed. Here you see only four players. By the time we left, there were seven, and three more looking on (around half of the party). That's my game, which my host had pre-ordered from me. I brought him his copy which he placed on the counter near the wine bottles. Out of the ten copies of my game that I had for sale, I have parted with five, and two others are spoken for. Three to go. 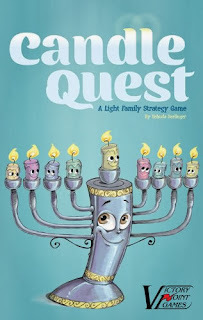 There seems to be a consensus that a quality edition of the Menorah Game with the original theme would sell well in Israel and around the Jewish world, which is currently severely lacking in good Jewish-themed games. 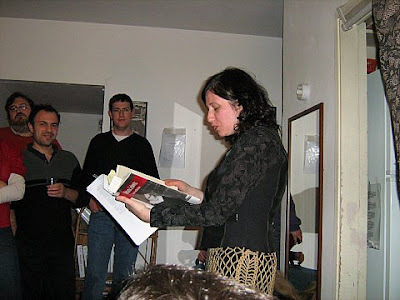 The second party was a book launch for our good friend Yael Unterman. She finished a biography on Nehama Leibowitz called Nehama Leibowitz: Teacher and Bible Scholar. It's massive, full of rich information, yet accessible. It includes not only biographical material and stories from her life, but detailed information about her work, philosophy, and its influence. The latest Jerusalem Strategy Gaming Club session report is up. Games played: Carpe Astra, Magic: the Gathering, Jambo, Solitaire, Bridge. We didn't understand Carpe Astra; I will discuss with the publisher. My daughter dragged me out to audition for a play (set of plays) this evening. I haven't been in, or tried out for, a play since 7th or 8th grade. I didn't bring my own monologue to perform, so I had to pick one up and learn it on the spot. The one that was available was a compilation of extracts from "Adam's diary" by Mark Twain. It sure is hard to act a piece when you just got hold of it and have to keep referring to it every sentence while on stage. At least I had an hour to learn it. Harder was when they gave me something else to try after I had done my monologue, which required acting out while reading it for the first time. The first one I think I overacted a tad, the second one I probably underacted. Ah well. I enjoyed it without getting too nervous or breaking out in to many silly grins, as I am wont to do in front of audiences. Which is what happened when I used to read at the Jerusalem poetry slam. Card games: games of Gin Rummy and Oh Hell with Tal. I was winning the Gin game when we switched to Oh Hell. Tal then beat me soundly. PitchCar: Friday night after dinner we played an eight-person game of this at Nadine's. Among the players were older friends of ours who generally do not play games (they might sometimes play Chess with their grandkids, that sort of thing), their granddaughter (aged 18 or so), Avraham from the game club and his wife. 8 player PitchCar is quite a lot more crowded than 5 player is. While some of the people tended to remain in front, and others in the back, the game was fun, tense, and enjoyed by all. I was the front runner for two and a half turns, and then my car kept jumping the track. That allowed two others to pass me. Avraham was fairly close to the back for half the game, but he then caught up to the middle of the pack. Nice to have a simple game for 8 players where everyone has a chance and there's little downtime. Puerto Rico: Nadine, Rachel and I played a game at the end of shabbat. We used my usual alternate buildings. Unlike many of our recent games, corn was readily available. Nadine took an early coffee building at my recommendation and didn't seem to recover after that, even though she traded coffee twice. I'm guessing it's because she didn't get either Factory or Large Business, though she did get Discretionary Hold which seemed to serve her well. Rachel had the Factory and ended with two large buildings. She ended with 56 points. I had an early Large Business and coffee in front of Nadine. I never traded it, but I shipped it. I also had a Small Warehouse and two quarries (very unusual for me). The early Large Business netted me 32 shipping points, and I ended with 59 points total. This post describes how to play Power Grid with two standard decks of playing cards, some tokens, pencil and paper. NOTE: it is assumed in this post that you know how to play Power Grid; I only describe the adaptation here. If I ever collect these posts into a book, I'll expand this one with a complete set of rules. The following has not been playtested. Undoubtedly, some tweaking in the number and/or plant powers will need to occur. This can be discovered during the first play or two. Since the plants are acquired through an auction, this should not prevent the game from being playable as is, because, however good or bad a plant is, there is some price at which you hit the pain point. Set aside any unused cards. Each letter represents a region, each inidividual character is a city. The connections between any two diagonally adjacent cities are the sum of the price of the two cards (i.e. somewhere between 4 and 18). Any two adjacent identical cards represent a metropolis and have a connection cost of 0. Choose the correct number of regions in which to play (3 to 5). * There are two of each card (e.g. two diamond jacks). The second one of any card that shows up is marked with a token; it's the higher cost powered plant. + Nuclear plants require one less fuel. Nuclear plants may also be bought as green plants, adding 4 to the cost. - Whenever two cards of the same exact rank of Clubs and Diamonds are both available, a hybrid plant may be bought for +2 cost over the coal price. Take either one of the two plants and add an unused face down card underneath it to indicate that it is a hybrid. Starting plants: Arrange 4 10's and J's of each suit for the starting plants. Remove plants as usual according to the number of players. Mix the rest. When placing plants under the deck, place face up. When you reach the first face up plant, mix and start stage 3 as usual. Cycle plants as usual for Power Grid. Use 4 different colored tokens to represent the four different types of fuel. Group in 3's at the bottom of the board (which has 9 cards width) to indicate prices. Houses: use the same tokens as you used for fuel, if you're careful to keep them separated. Track money using pencil and paper. Arrange tokens at the left of the board to indicate player order. You can use the top and right of the board to keep count of number of cities, if required. Replenish fuel supplies according to your favorite Power Grid chart, adding one additional nuclear fuel in the second and third phases. Use the usual payout chart from PG. The win conditions are as usual in PG. The latest Jerusalem Strategy Gaming Club session report is up. Games played: Trias, Jambo, Antike, Year of the Dragon, Traders of Carthage, Bridge. I continue to love Trias and Antike more than I expected to. First play for Traders of Carthage. Fail Better - Some guy from New Jersey. Mormon Game Design - Mike, from Logan, UT. A game design blog. My board games blog (aka A World Without String) - Stephan Wessels, Omaha, NE. Infrequent poster. Playing board games - Matt Jones, Cambridge, UK. One of several blogs Matt he uses to promote his board game social site SophistiGames. Only three posts on each blog, so far. Quest for Fun (aka Black Diamond Games) - Gary Ray, Concord, CA. All about running a game store. The Non-Stop Tabletop - Josh Jenkins, Henderson, KY. Vlog reviews and sessions. Several more blogs fell off my radar due to inactivity. Last year I picked up Mayfair Cosmic Encounter and More Cosmic Encounter from an ad on Janglo, a local mailing list for the Jerusalem Anglo community. Condition: mint (missing the Disease power; some of it was still unpunched). Price: 100 NIS (around $23 at the time). The guy threw in four old AH war games to sweeten the deal. The story: someone gave it to him as a gift ten years before and they had never played it. Sunday I noticed that some guy was selling two games on Janglo: Scrabble and Merchants of Amsterdam. I actually need a new copy of Scrabble, and I wasn't going to pass up on MoA. Unfortunately, Scrabble was taken, but I got MoA for 140 NIS ($36). Not as much of a bargain, but considering shipping and relative pricing in Israel, quite good. Of course, no one else was going to take Merchants of Amsterdam off of his hands; I was the only one who would know what it is (and I haven't even played it). A few weeks ago my parents called from a pre-Hanukkah sale asking me if I was interested in some strange games on display amidst the vast collection of usual fare. Turns out to have been a stand by Hakubiah, a relatively new imported of good games into Israel. This is a slightly less than unusual find, as Hakubiah is taking pains to make a presence at fairs like these. But I'm sure many of you have stories of finding really good modern games in unusual contexts: garage sales, someone's closet, a library, a corner candy shop. And sometimes at bargain prices. It's a great way to brighten the day. Once upon a time in the land of Dingle there lived a poor young widow by the name of Dolores. Dolores' husband had died of a fever only a year after they had married, leaving her with nothing but a small house, a small pot, and a small garden. Every day, Dolores would spend hours cooking vegetables in her pot to sell in town. The little money she got from her trouble was used to pay for fuel to cook, medicine, and so on, so that none was left over. One day, while she was pulling vegetables out of her garden, Dolores saw a small figure with a large nose sitting on her fence, watching her. "Good day, sir," she said politely. "Who are you?" "Good day to you, Dolores. I am the gnome of Dingle woods. I have seen your struggling and have come to give you a magic gift from the fairies of Dingle." "Oh, heavens! What a surprise! Why thank you, sir gnome. What gift have you brought me?" "It is this," said the gnome, taking a pot out from behind the fence and offering it to Dolores. "It is a magic cooking pot. When you place water and vegetables into the pot, the pot will cook them in a few minutes without any need for fuel." "Oh, truly this is a wonderful gift!" cried Dolores. "How can I ever thank you?" "There is no need to thank me," said the gnome. "But beware! Only put water or vegetables in the pot. The day that anything else is put into the pot, the spell will be broken and it will turn into an ordinary pot." "Oh, I shall be very careful, sir gnome. I shall! Thank you, again. Good day!" On that very day, Dolores put vegetables and water into the magic pot, and lo and behold, within a few minutes, they were all cooked, without any need for fuel. Dolores had many hours to herself that day free from cooking, which gave her time to lay about in the sun and pick flowers. She sold her cooked vegetables for the same money as always, but because she didn't need to buy fuel, she had one penny left over at the end of the day. This went on for ten years. Dolores cooked vegetables, lay about in the sun, sold them, and saved a penny each day. And always she was careful not to put anything besides vegetables and water in the magic pot. And then one day, Dolores planted flowers in both of her pots, bought a microwave oven for $26.50 from a local Walmart, and with the $10 she had left over she bought a ceramic gnome to put in the garden. For those of you in Israel that want to buy my game but have been put off by the shipping costs, I have 10 brand-spanking new copies of the second edition in my hands to sell for the ridiculously low price of 90 NIS each (that's less than with the UK shipping rate). Email me if you want. First come first served. If all 10 sell out, I might get more at the end of February. I also picked up a copy of Reiver Games' other game, Carpe Astra, which I hope to get to the table sometime soon. I need a weekly project for this blog, having finished my roundup posts. So here's my new project: each week, I will teach you how to simulate a proprietary game using two decks of standard playing cards and (optionally) some counters, dice, paper, and pencil. Maybe I'll turn it into a book. And the series shall be called: Wielding the Decks. My first game: Pit. Pit is a wild, fast stock card trading game from 1904. Ring the bell, and each player shouts across the room, trying to corner the market in one type of goods. The Bull card is a wild card which you can use for any type of good, or double the value of a complete set. But if you get caught with it when someone else wins, you lose points. The bear has none of the benefits, and all of the drawbacks, of the bull. Even worse, you can't win the game so long as you hold the bear. In the original game, each type of good has a point value. When someone completes his or her set, he or she gains the points of the set he completed. Play several games until someone has reached a predetermined value. In my simulations, I generally dispense with the points (and the bull's drawback) and just play until someone wins, and that's it. Take from the two decks one rank of cards for each player. E.g. for ten players, take the 2 through J. There will be eight cards of each rank. In addition, take a black joker for the bear, and a red joker for the bull. If you're not playing with 13 players, you can use black and red aces. Mix and deal to all players. Two players will have 1 additional card, but that's ok. When ready, yell "Go!". Each player acts simultaneously, shouting the number of cards that they want to trade with any other player (NOT the rank of the cards, just the number of cards). Every trade must be for cards of a single rank ONLY, and all trades must be for the exact same number of cards. There are no turns in Pit, no rounds, and no order. Players shout simultaneously as often and as frequently as they desire, trading with whomever they desire at any time. No trades are forced. If you shout a number, and no one else is shouting that number, try shouting a different number. For instance, you can trade 1 king for 1 other card by shouting "1! ", or 3 fours for 3 other cards (which must all be the same rank) by shouting "3!" You cannot trade 1 seven and 1 three for two other cards (although you can do two "1" trades instead of a "2" trade, if the other player is willing), and you cannot trade 3 sevens for 2 cards or 4 cards. There is one exception to this: you cannot trade the bull or bear as single cards. If you want to trade them, you MUST trade them together with other cards. So you can call out "3", and trade 2 sevens and the bear for 3 cards from someone else; they must trade you back 3 cards of the same rank, or 2 cards of the same rank plus the bear (or bull). The winner is the first to collect all 8 cards of a singe rank (those of you with 9 cards in your starting hands, be aware that you will have an extra card which doesn't matter) and shout "I won!" The bull (red joker or red ace) is a wild card (aka joker) which counts as any rank. You can win with seven cards of one rank and the bull. The bear counts as no rank; it's only effect is that you cannot win the game so long as you hold the bear; trade it away! Remember! You can't trade the bear on its own; it must be traded along with some other card or cards. That's it. Games with up to eight players will last about a minute or two. I played with 12 and the game lasted 4 minutes. You can play with the scoring from the original game: earn 10 points per rank of the completed set (face cards all count as 10). Double your score if you have all 8 cards AND the bull (only two players can achieve this each round). Lose 10 points if you don't win and are stuck with the bear or bull (20 if both). Another variant you can play is with teams: a pair of players each hold 4 cards. Or, with many people, each player on a team holds 1 or 2 cards. Your team has to end up with the complete set to win. This requires not only trading, but constantly coordinating strategy and comparing holdings with your teammates. I'm planning on tackling Power Grid. If you have a game you would like to see me cover, add a comment. I'd also love to see your versions of Power Grid with playing cards. Send me an email if you want to try. The following games were played last year at the Jerusalem Strategy Gaming Club. This list does not include any games that I personally played outside of the club. This list is provided not only for personal reflection, but as a guide to others as to which games actually got played and enjoyed. - Some games were acquired very late in the year. Their play count will be higher next year. - Some games we can only play if the person who owns it brings it to game night. - Some games we played a few times to see if we liked them, but we didn't. These got traded away. - Light games tend to be played multiple times compared to heavy games. Roughly speaking, divide a light game by 4, and a medium weight game by 2, to compare to a heavy game. Games are marked with L, M, and H for these purposes. - Two-player games only get played when the dynamics work out; we prefer multi-player games. Games that are only for two players are marked 2. Magic: the Gathering x 26 (2L): David and I in particular play this every now and then and have so for the last ten years or more. It's a keeper, obviously. You don't have to play in tournaments or keep up with the latest cards to enjoy it. Simply buy a collection of 500 common and uncommon cards and enjoy. Notre Dame x 17 (M): This became the game that everyone basically enjoys. It's Gili's favorite. It's new to us this year. Race for the Galaxy x 17 (M): I considered this game flawed for a while, but now I'm beginning to rewarm to it. I still don't like that it has the fatal "rush the end game" mechanic. R-Eco x 14 (L): A simple but elegant filler game, easy to explain and understand in one sitting, with simple choices to make. 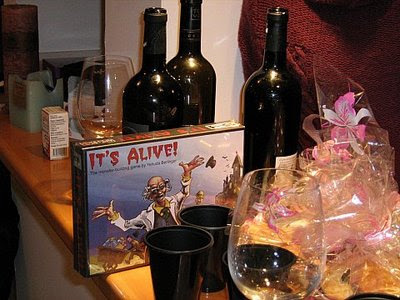 It's Alive x 12 (L/M): I designed this game. I'm happy to say that most of the playings were not because I suggested it; others pull it out on their own. I still like it, of course, and discover new things about it even after several hundred plays. The theme discourages some people, however, while others like it. Puerto Rico x 12 (M): Still THE game, only not played more in the group because many of us play it online excessively. Power Grid x 9 (H): A heavy game that's good even for newer players. We took a break from it after playing it quite often. Still enjoy greatly, however, although often the game comes down to the last round. David likes it a lot (lots of math). Year of the Dragon x 9 (M): Considered by most of the group to be a superior version of Notre Dame. I actually feel it is too "clever" and scripted. David and Nadine like it. Bridge x 8 (L): THE card game, but not everyone is up to it, so we often play Tichu instead, which is more accessible. A frequently played end of the night game. Robo Rally x 8 (M): Highly nonstrategic, but a lot of fun for many of us. Must be set up carefully, however, or the game can be quite long. Gili in particular doesn't like it. Tichu x 8 (L): A frequently played end of the night game. A very good partnership card game. David and Nadine like it. Princes of Florence x 7 (M): An excellent, contemplative game, very serene. The Settlers of Catan x 7 (M): For ten years now I've said that this is THE intro game for new players. But I'm not sure now. New players do quite well with lighter games like R-Eco and so on, too. So let's call this THE medium-weight intro game. Many other groups will tell you that Ticket to Ride is better for this purpose, but we never got into TtR. Gili likes it. Mr Jack x 6 (2L): A very cute two-player deduction game. A little lacking in the game department, more puzzle-like, but still fun. Agricola x 4 (H): Now considered the best game on BGG, but doesn't yet hold a candle to Puerto Rico in our game group. Still, very very enjoyable, but also a bit too long. Cosmic Encounter x 4 (M): Like Robo Rally, a chaotic nonstrategic game, but very fun. Older than most of the games we play, so some feel burnt out on it. Elijah likes it in particular. El Grande x 4 (H): A great, classic game, but pretty long. Nadine tends to win often. Saikoro x 4 (2L): A really good new two-player abstract, but very quick and light. Amun-Re x 3 (M): Like, Notre Dame, it's a game that nobody doesn't like. However, I don't own a copy, so it doesn't get more play. Caylus x 3 (H): A good game, but I find it too fiddly and too long. Others like it more than I do. David and Gili like it. Cities and Knights of Catan x 3 (M): A very strong twist on the basic Settlers game, it's overly long for some, but intriguing for others. It's hit or miss, as some games can be tight and exciting, and others a runaway massacre. Geschenkt x 3 (L): An excellent light game for a game night opener. Other, slightly more substantial games, are often played instead. Go x 3 (2L/M): THE classic abstract game, but only of interest to some. Played when the dynamics are right. Adam and I like it in particular. Havoc: The Hundred Years War x 3 (L/M): A night game, somewhat too heavy for a light game, and too light for a medium game. An easy game for newer players. Lord of the Rings: the Confrontation x 3 (2L): An excellent two-player light game. Odin's Ravens x 3 (2L): A good two-player light game, but not very substantial. Gili likes it a lot. Taj Mahal x 3 (M): An excellent medium game. Tigris and Euphrates x 3 (M): One of my favorite medium games, it's very hard for some people to grasp and so doesn't get more play. I wish it did. Tower of Babel x 3 (L): I didn't play it, but people seemed to like it. Brought by someone to game night. Before the Wind x 2 (M): I thought this had potential, but it turned out to be severely flawed, near as we could tell. Traded away. Blue Moon x 2 (2L): A non-collectible game that plays a bit like Magic. The mechanics didn't really interest me. Traded away. Chess x 2 (2L): Played by very few of our members in any serious way, but sometimes enjoyed by players new to the group. Children of Fire RPG x 2 (H): We tried some roleplaying this year, again, but it only lasted two sessions. Done together with Universalis. I enjoyed it. We had too few players; for D&D, we had too many players. Dungeon Twister x 2 (2M): A good dungeon-crawl conflict game, but not really our style. Traded away. Industria x 2 (M): An interesting game, played twice. Not quite as good as some other games, but I would like to play it a few more times to get the hang of it. Jambo x 2 (2L): Like Odin's Ravens, a good two-player light game, but not substantial, and Gili likes it a lot. La Citta x 2 (M): Just acquired, a very nice game. Will see more play in 2009. Mexica x 2 (M): Another one I though was good at BGG.con, but seems to have problems. And wasn't engaging enough for Gili or Nadine. I expect it will be leaving us soon. Pirate's Cove x 2 (M): Gili brought this a few times. I liked it, though it has dice base combat which I tend not to like. Reels and Deals x 2 (L): A light game sent by a publisher, I like it, although I didn't like the end conditions. If fixed, would see regular play, I imagine. Santiago x 2 (M): I truly love this game, but no one else likes it that much. A shame, because if it doesn't see more play, I will have to part with it. Shadows Over Camelot x 2 (M): A very different game for our group, as it's semi-cooperative (with a probable Traitor), plays up to 7 players, and allows people to enter and leave the game without disrupting the game play. The game play itself is only so-so, however, and I don't own the game so it's only played when it's brought to game night. Solomon's Stones x 2 (2L): By the same publisher as Saikoro, this is a very pretty piece that didn't interest us as a game, but did as a puzzle to solve. Traded away. Universalis x 2 (L): Played with CoF RPG (see above). Vegas Showdown x 2 (M): A nice game with some random elements that detract a bit from the game play. I think the graphics also bother some people (kinda kitchy). Most consider it less interesting than some of the other games we have. I would like to play it more. Alexander the Great (M): We tried this and I found it excruciatingly boring. I think it's a better game than I gave it credit for, as I was distracted at the time. I would like to play again and give it more attention. Anagrams (L): I love this, but only get to play it with non-gamers, i.e. outside of game group. Antike (H): Just acquired, I hope this sees more play in 2009, although it's a bit long. Excellent, excellent civilization building game. To solve that, and one other things I don't like about it (not a problem with the game, just my preference), I plan to shorten it a tad. Arkham Horror (H): Very long cooperative game with RPG elements. Right for the right crowd, but not really for us. Traded away. Atlantic Star (M): On the light side of medium-length, many found this to be too luck-dependent. I disagree and would like to play it more. Blue Moon City (M): A nice if somewhat overly clever Euro game, played when Binyamin brings it. Boggle (L): Very quick filler game. Excellent for non-gamers. Carcassonne: the City (M): A Carcassonne variant, Hunters and Gatherers is just as good; both are better than the original. Acquired recently, might see more play with newer players. Regulars tend to find Carcassonne a little slow. Colosseum (M): Another nice typical overly clever Euro game. Played when it's brought. Cribbage (2L): Gili likes this as a quick filler game for two players. Can be played by more, of course, but never is. David and Goliath (L): A trick-taking game, but not an exceptional one. OK.
Down Under (L): This is a nice tile-laying game, but not substantial. Traded away. For Sale (L): An excellent game for non-gamers, not substantial enough for the group. Hacienda (M): Just acquired, seemed like a good game. Will play again. Kingsburg (M): This was bought by someone who came once. I didn't play it. Lo Ra (L): This is Nadine's Jewish themed version of Ra. It's a good game, but doesn't seem to come out much. Probably because we like our auctions mixed with other mechanics. Lost Valley (M): I initially loved this game, but it suffered greatly from the fatal "rush the end game" mechanic, which destroyed the game. Probably could have fixed the game by setting the game to last a certain number of turns. Nevertheless, traded away. Louis XIV (M): A good game, with strange scoring which ruins it a bit. As a result, not played as often as it could be. Metropolys (M): I didn't play it. Brought by Binyamin, who claims it is a deeper version of Mykerinos. Mission: Red Planet (M): Brought by a one-time comer. It's a good area control game. I don't like some of the designer's choices, but they are easily fixed to be more our style. I would play again. Mississippi Queen (M): On the light side of medium, a race game with random river terrain, but no other luck elements. Fun, and often ends in a close race. But not substantial enough for many of the players. Traded away. Mykerinos (M): Better than it gets credit for in our group, but somewhat on the light side. Comparable to Louis XIV. Netrunner (2L/M): I think this is an excellent CCG, but my CCG partner David doesn't like it. I need to convince more people to play it with me. Pandemic (M): Another cooperative game, this was a big hit around the world in 2008. We thought it was good, and would probably play it again. Cooperative games lose a lot without a traitor, however. Pentago (2L): An abstract, I didn't play it. Pillars of the Earth (M): Just acquired this week, this is an excellent game using people placement mechanics (like Agricola and Caylus), but lighter and less finicky. Prototype (*): I try these occasionally, but it's sometimes hard to get players willing to test the game unless it's short and the start of game night. Samurai (M): A serene tile-laying game from Knizia, it's good. But I didn't like the scoring rules. 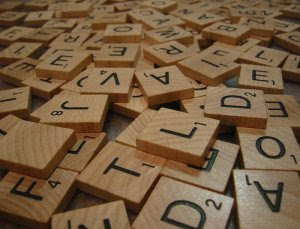 Scrabble (M): Too long and too traditional for most players at the group. I play this frequently outside the group. Texas Hold'Em (L): Some players decided to play this one evening (for chips, not for money). Not likely to become a regular game at the club. Tikal (M): A great game, I like it a bit more than the other players, probably because I do pretty well at it. Would like to have it see more play. Torres (M): Kind of a companion to Tikal, this also doesn't get enough play because it's very mathematical and somewhat dry. So is Power Grid, and this is shorter. I don't know why people don't want to play it more. Trias (M): Recently acquired, I love this game, but the people I played it with, especially Gili, didn't grasp it and so didn't like it much. I think we have to play it a few more times to figure out the strategies. Nearly no luck, it's also a lot of fun. I hope it gets more play in 2009. Ubungo (M): A kids game played on Games Day. Not one of mine. Verrater (L/M): A nice game, a little heavier than a light game, but not quite a medium game. Since we only played it once, I'm not sure how we feel about it. Hopefully will see a little more play in 2009. Winner's Circle (M): A very nice game for non-gamers, not really for the group. Yinsh (2L): Excellent abstract, played when the dynamics allow it by those who don't mind abstracts. Zertz (2L): A good abstract, but would never be chosen in place of Yinsh. Traded away. The latest Jerusalem Strategy Gaming Club session report is up. Games played: R-Eco, It's Alive, Pillars of the Earth, Settlers of Catan, Chess x 2, Magic: the Gathering x 2, Puerto Rico. We played and very much enjoyed Pillars of the Earth, a gift from my secret santa. We also had a new player to the club. And we end the year, and start the new one, with a Puerto Rico game. For hundreds of posts on the current Gaza war, you can check out Jack's roundup posts. If you want to read just one post as to what's really going on, read this (part 1). Honestly, I experience no surprise that the entire world and its media can do nothing but worry about faked pictures, false news, and one-sided human tragedy stories as they come out of Gaza, all the while having ignored three years of rockets, shooting, bombings, and daily human tragedies endured on the Israeli side. I find it bewildering that so many pro-Israeli bloggers are surprised by this, however. When did they think the world changed? Or grew memory cells? Or gained perspective? That is all. Back to gaming.